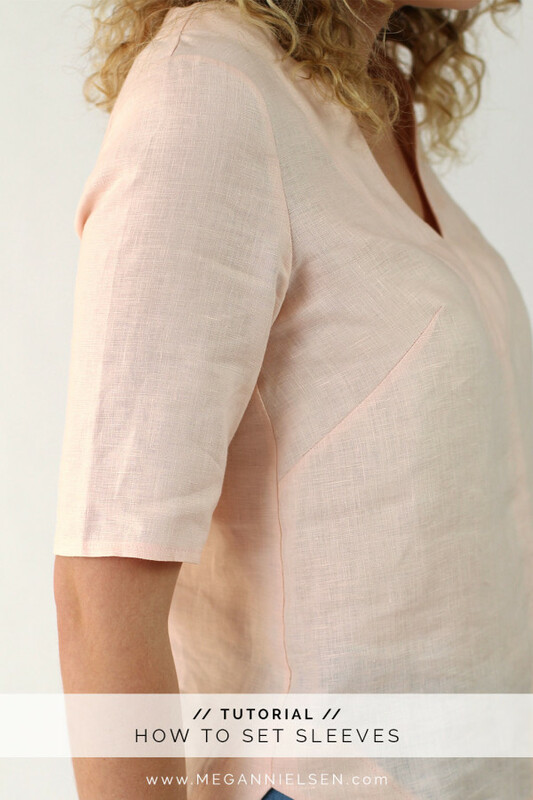 Whether you call it an inset sleeve, a set-in sleeve or your-worst-bloody-nightmare, sewing a sleeve into a garment doesn’t have to be hard. Honestly. If you take it step by step you won’t need to pull your hair out or cry or even throw your sewing machine through the window. I promise. This method of sleeve insertion will come in handy when sewing my Darling Ranges dress pattern, Sudley dress and blouse pattern or Dove blouse pattern. 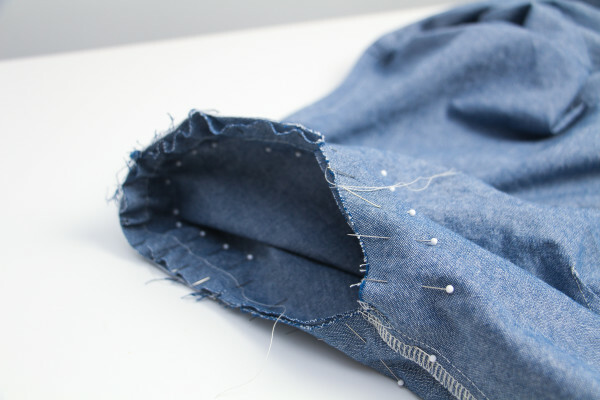 In this method i use a single row of basting stitches, which i sew right on top of when setting the sleeve. 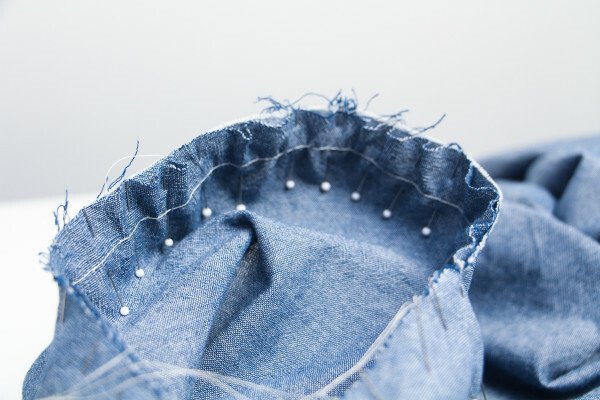 Please note that some people prefer to sew two lines of basting stitches, one on either side of the final seam line and still others prefer to skip basting all together, and use strategic pinning to distribute the sleeve cap ease. All of those methods are perfectly valid, and you should choose the one that works best for you. And if you’re wondering why you need sleeve cap ease at all, the reason is simple: it allows the sleeve to conform to your body better. Most patterns include a lot of sleeve cap ease, anything from 1″ to 2″. To be honest, i think that’s why most people find inserting sleeves challenging and frustrating. Too much sleeve cap ease is a pain to work with and i don’t think there is any benefit in it. For my patterns i prefer to include minimal ease, 1/2″-1″ depending on the pattern. I find it is easier to sew and provides ample room for comfort and movement. Ok that’s enough technical blah blahing – lets sew some sleeves! 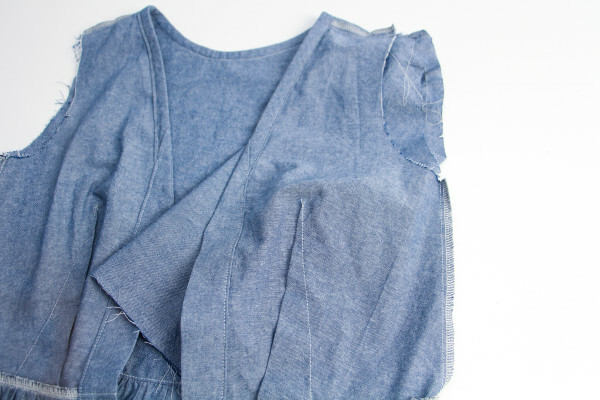 Fold the sleeves in half with right sides facing each other and sew 5/8″ (1.5cm) from the raw edge. 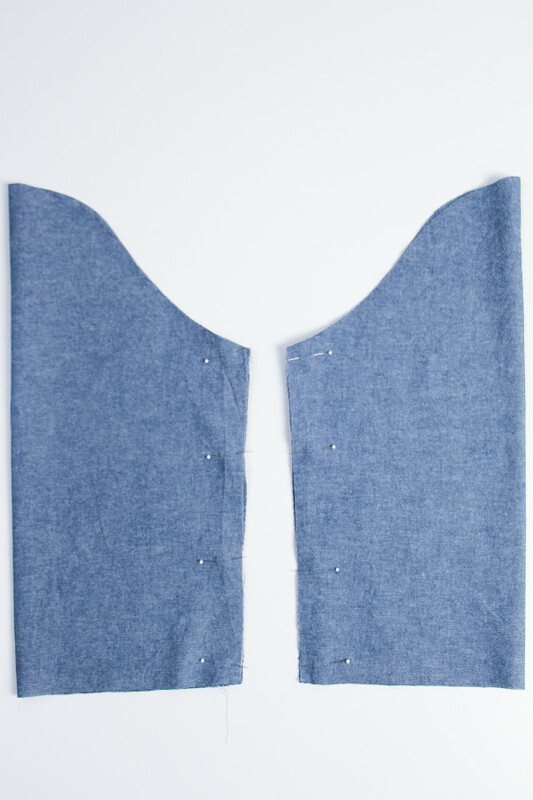 Neaten the raw edge using either a serger/overlocker or zig zag stitch, and press either open or towards the back. 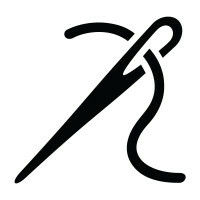 Set your sewing machine to the longest stitch length and sew a line of stitches between the notches on either side of the sleeve cap indicated on the pattern, roughly 5/8” (1.5cm) from the raw edge. Do not back stitch, and ensure that you leave the threads loose. This line of basting will aid in easing the sleeve cap into the sleeve opening. Turn the sleeve right side out, and turn the garment wrong side out. 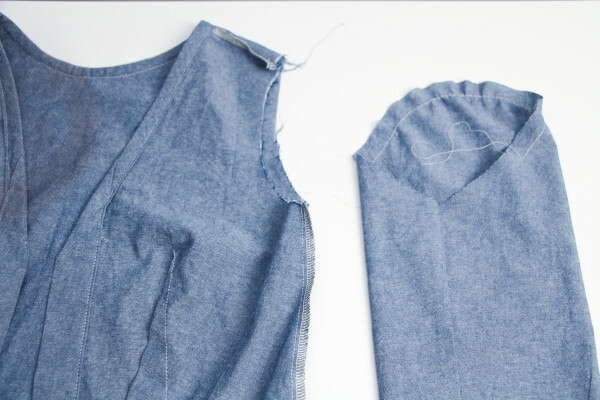 Place the sleeve inside the arm hole and match up the side seams with right sides facing. 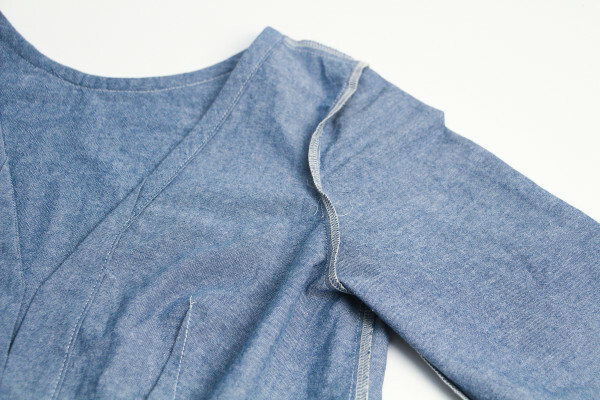 Align the sleeve cap notch with the shoulder seam. The notches on the sleeves should be aligned with the notches on the bodice pieces. When inserting the sleeve, be careful that the sleeve is the right way round. The front of the sleeve includes single notches, whereas the back of the sleeve includes double notches. Pin the sleeve to the blouse adjusting the ease at the sleeve cap as necessary by pulling on the loose threads from your ease stitches. Sew the sleeve to the garment 5/8” (1.5cm) from the raw edge. 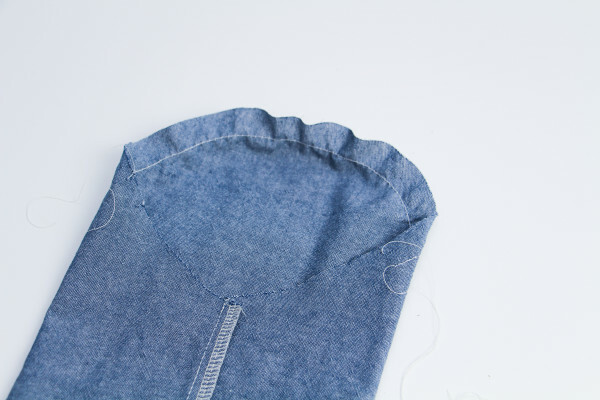 Neaten the seam edges using your serger/overlocker or a zig zag stitch, and press the seams toward the inside of the sleeve. Repeat this for the second sleeve. Don’t forget to check whether any of your basting stitches are visible from the right side of the garment. 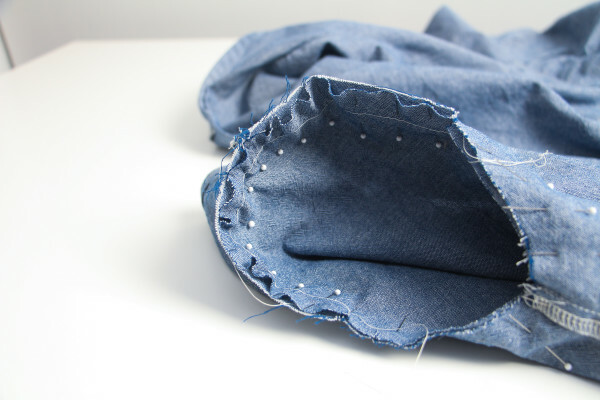 Remove the basting stitches if visible from the right side of the garment by carefully unpicking. That’s it my dears! You have set a sleeve! Do not panic. If it’s not going well remember that you can unpick it and start again. 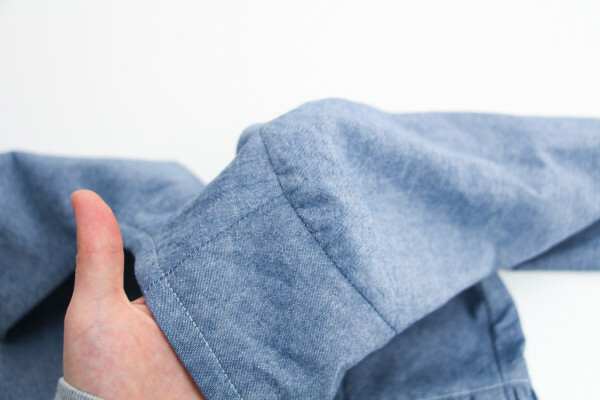 If there is a section of your sleeve that is a little bumpy or you’ve caught too much fabric, remember that you can unpick just that section and redo it. Pay attention to notches! The front and back of a sleeve are different, and you’re going to have a devil of a time trying to set in a sleeve backwards (plus it will be uncomfortable to wear). Different fabrics respond differently. Some ease in better, and others don’t. Sometimes its the fabrics fault not yours (can’t we always say it’s the fabrics fault?! hehe). If you’re having trouble getting the sleeve to ease in smoothly with a single row of basting, try using two rows to gain more control. 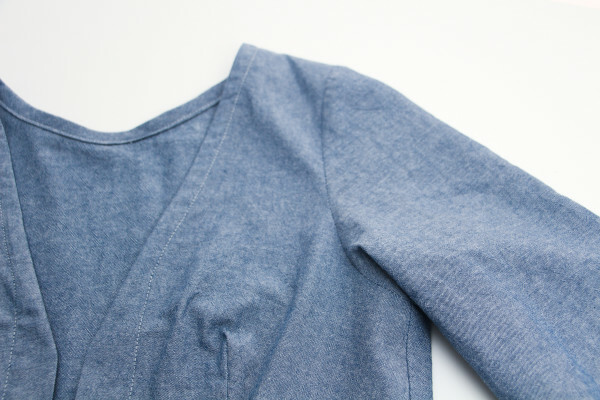 There are other ways to set sleeves – like the flat method. 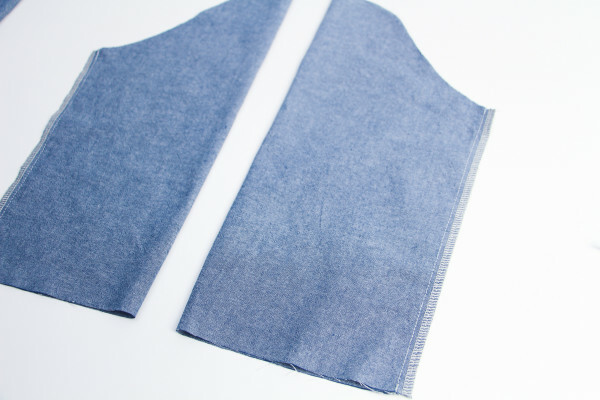 The flat method is quite common in manufacturing, and in knit sewing, but is also perfectly suited to sewing woven sleeves at home. Personally i like to swap between setting a sleeve in the round (as shown in this tutorial) and setting a sleeve flat, just to stop myself from getting bored of one method. 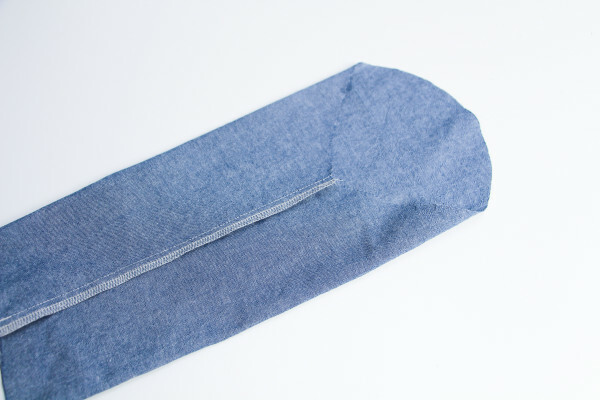 If you’d like to learn the flat method of inserting a sleeve then try this tutorial. Did i miss anything? Have any questions? Let me know in the comments below! What I’m doing wrong if I feel like, with all of my projects, I can’t lift my arms properly? Have I eased it wrongly or it is just a bad/ ill-fitting pattern? I really struggle with (woven) set in sleeves, and because of it have entirely switched to raglan sleeves or sleeveless projects. I realize you’re talking about sewing sleeves but that bust dart is way too high and too long. Great tutorial!! I was wondering if you could may be provide some tips on how to iron the sleeve cap once you inserted it? I always struggle with that :) Thank you! How do you get your presser foot to not push out your gathers?